The NHL season has reached its' end and it's time for the Stanley Cup Finals. Mike's Pittsburgh Penguins vs. Scotty's Nashville Predators. It's going to be a fun series and hopefully an excited end to a great playoff year. Seriously Jinder Mahal is main eventing a PPV? 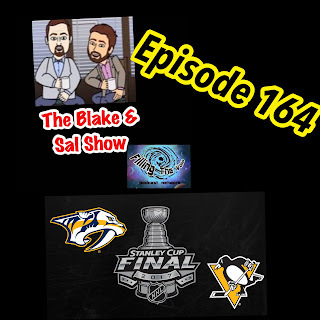 Blake and Sal are back to preview WWE Backlash & NXT Takeover: Chicago, and boy the Chicago crowd should be alot of fun for both show. 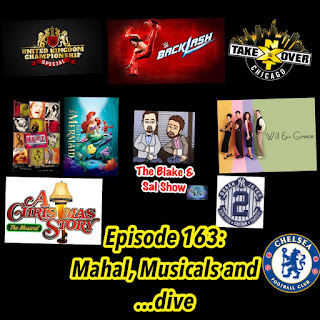 But before that, they look at the TV Upfronts news, including all the news about live musicals, Derek Jeter's number retirement ceremony, Scotty reports on Chelsea's success, Hadyn Gleed from Prowrestling.net sits down to talk about the WWE UK Championship Special and ...dive. Quick spoiler warning: Blake addresses the end of this week's Flash episode at the top of the show so be warned. It's the start of a new era. It's our first show on Filling The Void Podcast Network and it's a crazy ride. 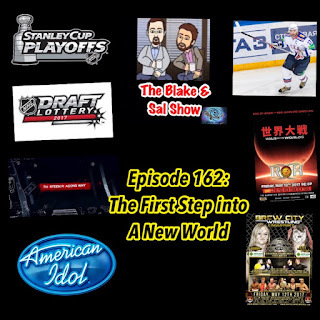 After completely making fun of new network director, Blake, Sal, Mark and Mike, discuss the controversy around 13 Reasons Why, Justin Bieber singing Spanish, American Idol returning to TV, preview the Stanley Cup Conference Finals, with help from Scotty, the NHL Draft Lottery and then the major injuries in WWE, the first edition of the BCW Breakdown and a preview of ROH/New Japan War of the Worlds. Beware, Sal hates Ilya Kovalchuck and Mark hates Jeff Jarrett. Enjoy the show! 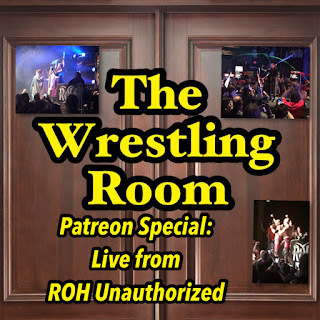 Blake and Mark attended ROH Unauthorized at Turner Hall Ballroom and here's some of what went down that night. This is live audio of the crowd and the guys discussing, cheering and just having a great crazy time. Afterward they break down the show on the way to the car.